Junior Sami Zimmerman recites her piece for the Large Group IHSSA Speech State Competition on Feb. 2. Six out of seven large group teams from the Tigers’ speech team earned the right to compete at State with other large group competitors from around Iowa at the Large Group IHSSA Speech State Competition that took place at Waterloo West High School on Feb 2. Unlike individual speech, large group speech is a form of speech in which students participate in teams. There are many categories from short film to mime to musical theater for students to pick from, and portray their skills. Speech allows participants to use different types of verbal and body languages to deliver a message across to their audiences, as well as gives students a respectful platform to speak and act freely without the fear of being silenced. 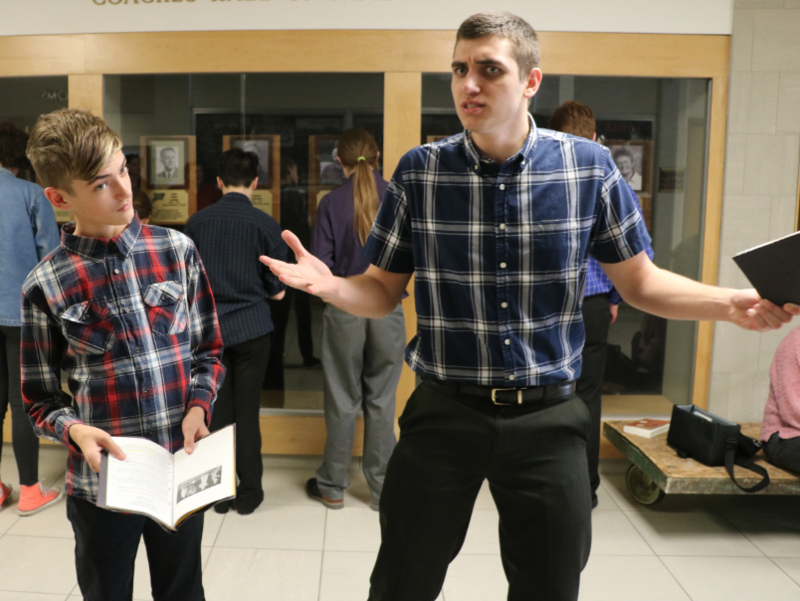 This year, with the new CFHS speech coaches and English teachers Jakob Elmquist and Catherine Bettag, many students from the highschool and the junior highs took their first steps into the artistic world of speech to share their thoughts on topics they enjoyed or thought should be heard. Just like Hundley, most of the participants got the chance to compete at State in their first years as a result of their hard work. There were many snow days in between that got in the way of preparations, but the Tigers gave it their bests with the aid of their coaches. Most of the entered categories for large group required quite a bit of student effort. 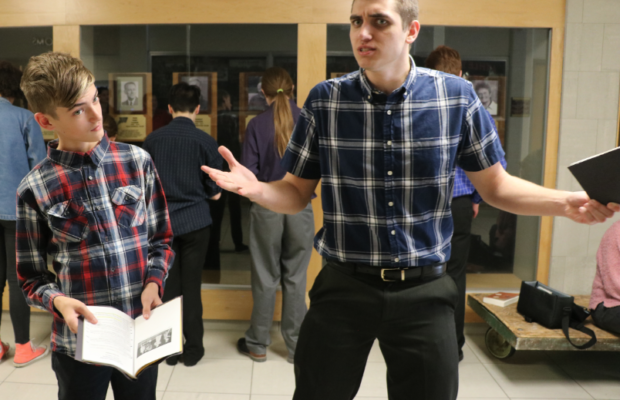 The Tigers not only came up with creative ideas to contribute to their pieces, but they also wrote and directed some of their own performances. Besides writing scripts and directing the performances, there was also a piano piece composed by a student specifically for the short film category of speech. 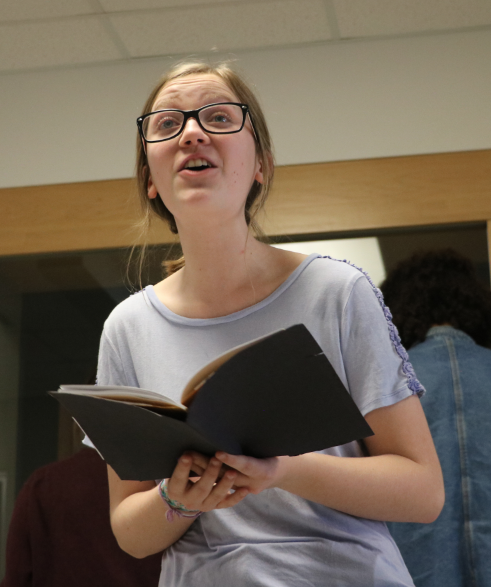 “There was a scene in our short film about a person that was very nervous about their piano recital, and actually Lilah Skaar composed an original piano piece for it,” junior Abby French said. 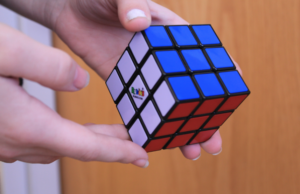 Although seven of the groups made it to State, going to All-State is a lot more difficult. At right, senior Anthony Aldrich and freshman Eli Flikkema. Despite it being the first year of a lot of participants, each group ended the state competition with an overall score of one, which is something Bettag said she hasn’t witnessed, and three of the groups earned straight ones from all three judges. One of the student-led ensemble groups called “Doubt” made it to All-State. 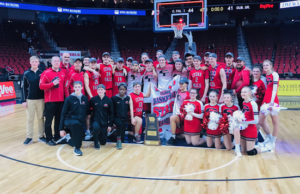 “It was extremely fun and rewarding as a first year coach. The results were amazing. We couldn’t have asked for a better day. Overall, they did amazing and were all possible candidates for All-State. Working alongside Ms. Bettag was entertaining. I was glad to get back into IHSSA and see what other schools were performing,” Elmquist said. Alongside their success, the speech team awaits new students to join and carry on the tradition in the following years. Freshman can also join the speech team from the junior highs. “I am incredibly proud to be coaching this team. I have loved seeing these students refine their talents and grow as actors and speakers. We are small but mighty. However, I would like to grow our team. We took just over 20 students to large group contest, and will only be taking 13 to individual contest. I think 10 of those 13 participated in large group,” Bettag said. Students who want to join the speech team, or have any questions, can contact Elmquist or Bettag.